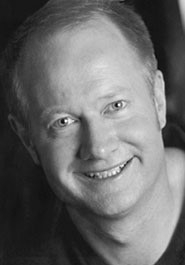 David Lawrence is a comedy writer/performer who accidentally became a children’s author in 2008. He has written for numerous TV shows including Hamish & Andy, Comedy Inc., and Talkin’ About Your Generation, and is cast member of the ABC3 children’s sketch comedy show, You’re Skitting Me. His books, Anna Flowers and the three part Fox Swift series, have sporting themes and use humour to tackle issues such as bullying and racism in schools. David still hopes to play AFL football and win a Brownlow Medal ... but at age 51, it’s going to be tough. Be the first to find out about David Lawrence.